Andrew grew up exploring the hills and forests of the east coast, cultivating a deep love for the outdoors. 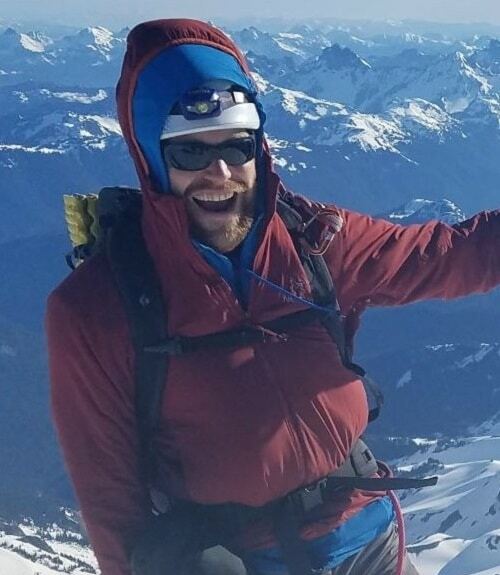 After summiting his first few peaks, Andrew decided to pursue a career as a mountain guide and moved to the PNW. He spent several years living in Bend, Oregon, climbing at Smith Rock and in the Three Sisters and surrounding peaks. Andrew loves to explore the wild places of our world and lives for adventures. During the winter he ski patrols on Mt. Hood, and when not in mountains he can be found road tripping and exploring with his four legged adventure companion Wiley.